Cobian Backup supports Unicode, FTP, compression (Zip, SQX, 7z), encryption (including Blowfish, Rijndael, DES, RSA-Rijndael[clarification needed]), incremental and differential backup. It supports long file names (32,000 characters) for all backup types except ZIP (which supports only 256 characters). The software may be installed as an application or as a service running in the background. Multilingual support is implemented via user-submitted language files. The program allows users to configure and schedule regular backup routines, for example a 'differential backup' every night (which backs up user files that have changed since the last full backup) and a 'full backup' every 7th night (backing up a full set of user files). Backups can be saved to CD, DVD, USB memory stick, a second hard drive (internal or external) etc. Users should aim to use removable media if possible, and ideally should physically remove the media to a separate safe storage place just in case the PC is stolen, damaged, catches fire etc. Backing up files to the same hard drive as the original files offers only minimal protection against accidentally deleting or corrupting files but no protection against more serious events. 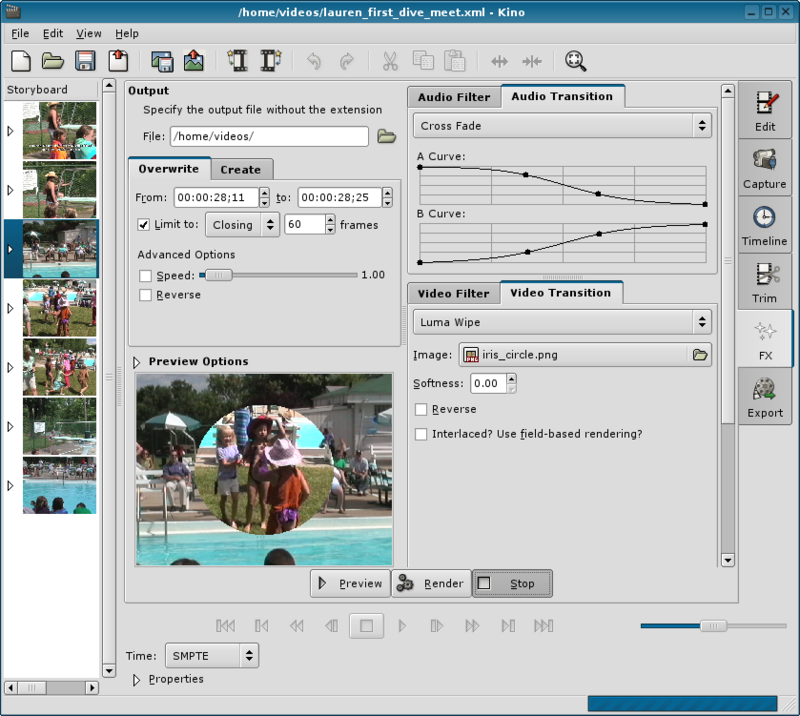 You can load multiple video clips, cut and paste portions of video/audio, and save it to an edit decision list (SMIL XML format). Most edit and navigation commands are mapped to equivalent vi key commands. 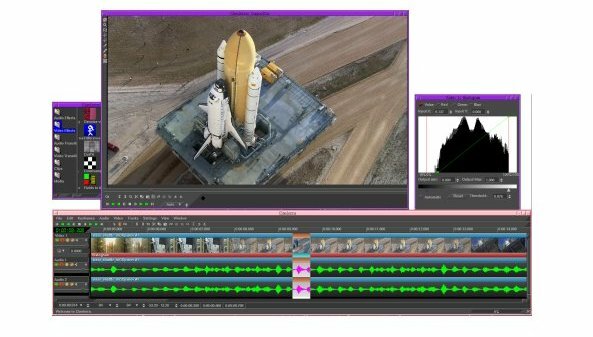 Also, Kino can export the composite movie in a number of formats: DV over IEEE 1394, Raw DV, DV AVI, still frames, WAV, MP3, Ogg Vorbis, MPEG-1, MPEG-2, and MPEG-4. Still frame import and export uses gdk-pixbuf, which has support for BMG, GIF, JPEG, PNG, PPM, SVG, Targa, TIFF, and XPM. MP3 requires lame. Ogg Vorbis requires oggenc. MPEG-1 and MPEG-2 require mjpegtools or ffmpeg. MPEG-4 requires ffmpeg. 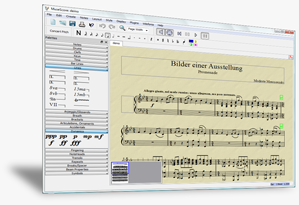 User interface translated to Danish, Swedish, French, Czech, Spanish, Russian, Italian, German, Hungarian, and Norwegian. Ability to "publish" project file and still frames using an extensible scripting interface. Export raw DV via pipe, which is extensible with shell scripts. Compositing with key frames, transformations, and wipes!